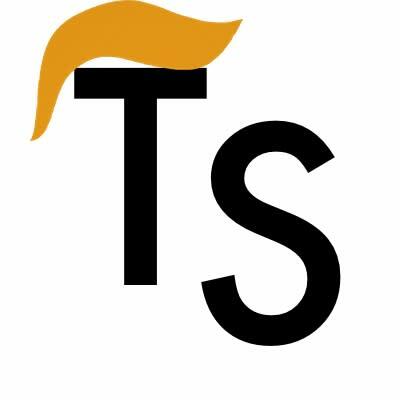 TrumpScript is language based upon the illustrious Donald Trump. As the undeniably best presidential candidate in the 2016 language, we found that the current field of programming languages does not include any that Trump's glorious golden combover would approve of. TrumpScript is our solution to this. It's the programming language Trump would approve of. Just like he is making America great again, we hope our efforts will make programming great again. There are no import statements allowed. All code has to be home-grown and Amerian made. Instead of "True" and "False," we have "fact" and "lie"
Only the most popular English words, Trump's favorite words, and current politician names can be used as variable names. The grammar of the language is fairly convoluted, but here's a taste of the enlightened decisions we've made. While loops are denoted via 'as long as'. And that's the only type of loop you need anyway. But most importantly, Trump doesn't like to talk about his failures. So a lot of the time your code will fail, and it will do so silently. Just think of debugging as a fun little game. Wrote the basic barebones tokenizer that Sam refined, expanded, filled in all the keywords I forgot, and added the Easter eggs to, then slaved over the parsing while Dan and I tried to figure out Pythons abstract syntax tree class and he attempted to destroy it as only the single fluent TrumpScript user could.